I appreciate mysteriousness and a thick cloud of uncertainty in my music. Many people claim we know too much these days about the artists who make our favorite music, and I think there’s something to that idea. I don’t think it’s anyone’s business what people do in their personal lives, what kinds of philosophies they support (unless, of course, racism or sexism is involved), what they eat, whatever. Seriously, it makes no difference when it comes to enjoying a person’s art. It’s all meaningless. Therefore, when I do find an artist or band that tells me very little upfront about who they are, I’m relieved by the mystery. For example, one of my favorite new bands of last year FALSE refused to reveal their lineup, their names, a web site, personal details, photos, anything. You could draw some ideas form their furiously progressive black metal, but most of what they offered was left to your imagination. 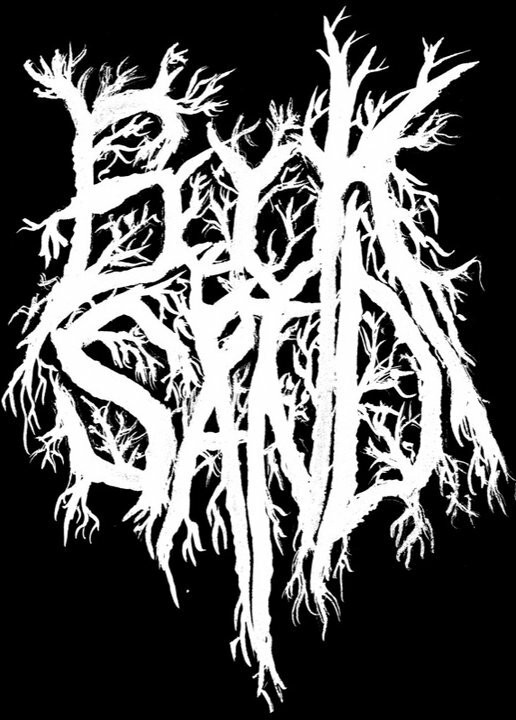 On that same note, Minneapolis black metal experimentalists Book of Sand also do not freely disseminate a whole lot of details about themselves. You can find their names (well, initials) and their thematic structure by doing some rudimentary research online, but you’re not going to find, say, a photo album. You can find details about their four full-length efforts, their latest “Mourning Star” we’ll dissect today, and how to buy their music. But there’s still a lot of details to fill in, and chances are, everyone will use different colors to complete the portrait. I find that exciting because I kind of get a say in how I interpret what the band does. 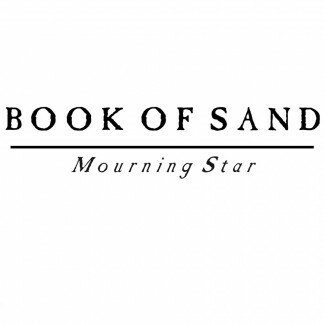 Book of Sand’s latest opus is brought to you by Music Ruins Lives, a label that probably will never find their products circulating in a Best Buy, and I’m pretty sure they’re OK with that judging by how they operate. They sign unique bands that have something concrete to contribute to whatever genre of music a band attacks, and I’ll always be appreciative of them and Flenser Recordings for introducing me to Wreck and Reference, one of the most emotionally scarring/scarred bands I’ve had the pleasure to cover. Also, what they release they normally do so in limited quantities, so if you’re intrigued by what you learn about Book of Sand’s new one, I’d get on that because they’ve only made 100 physical copies of the thing. Trust me, it’s a precious commodity. Book of Sand last checked in last year with their “The Face of the Waters” full-length, released by Antithetic Records, and here we are, not even a half year later, with their new opus that’ll test the limits of everything you know and think about music. It’s black metal at its heart, but like bands such as Palace of Worms, Botanist, Horseback, and Bosse-de-Nage, there’s a whole lot more going on besides those sounds that to affix a concrete label to this music would be foolish. It’s also a very challenging listen, not only from a thematic standpoint but because the music is very ambitious and sprawling. I had to digest it in chunks the first time I encountered it, and while that’s usually a bad sign for me, in this case I just needed some time to absorb everything. Since that initial foray, I’ve been able to go front to back with no problem as I got familiar. “Mourning Star” opens chillingly on “The Face of the Waters” (yes, the same title as their last album) with what sounds like a toy piano and quivering vocals, but just as the thing seems to be dissolving into a disjointed folk song, the noise erupts, and the black beast tears through the surface right for you. “Fits and Starts” also is a red herring when it starts, making you think we’re going to stay calm, but shrieks and machine-like chaos takes the place of serenity, and it’s a blast of fury from that point. We then arrive at the album’s twin epics, starting up with “Crawling Through Sand, Crawling Through Earth,” a doom-spined crusher that is rich with eerie cello work, enrapturing melodies, maniacal shrieks, and just plain scariness. There is a song with the same title on Book of Sand’s debut “How Beautiful to Walk Free” but, full disclosure, I’m not familiar with that album and am not sure if it’s a re-imagined version of that cut. “Planet SUV,” at 15:20, is the longest song on here and the most demanding. Again, cold cellos rise, along with faster and more hypnotic tempos (the melodic repetition has a lot to do with that), some acoustic picking eventually finds its way in, and eventually alien-like noise and terror begins to melt away the walls and bring this thing to the ground. It’s an incredible song. There’s a bit of a breather that follows with the next two tracks, as both are instrumental and let you just filter what you’ve heard. “A Devil, Not a Phoenix” has a bit of an Americana feel to it, taking on dusty acoustic strings and cello, while “Lord Have Mercy” is the most straightforward song on here, with its buzzing guitar melody and abstract catchiness. “That Tearful Day” is, as you might guess, somber, and it also tosses everything into the pot, from quiet guitar picking, to what sounds like glass bottles being tapped, to volcanic eruptions that shatter the calm. It’s a perfect closing statement for such a powerful document. As noted, “Mourning Star” isn’t terribly easy to approach at first, but in time, it should make itself more friendly and inviting to the listener, as long and the mind is open and willing. The longer I’ve had to drink this in, the more I begin to understand it and see it in new ways. I admire its daring mission and have been a very eager traveler alongside these tales. I also plan to delve back into Book of Sand’s back catalog for the hidden gems I’ve missed so far.